A donate page! My first choice of charity would be the Michael Brien Retirement Fund, but I think some people might not take me seriously. So, I have decided to support the charity also supported by the Clipper Race: UNICEF. Clipper partnered with UNICEF in the 2015-16 race to raise (so far) nearly £250,000. Once the race starts in August 2017 – or at least gets close enough – links to the Race Viewer. This is a page on the Clipper site with a live tracker so that you can see exactly where I am! Better photographs – Clipper will be doing publicity photos, I will be taking none/some/many on my sailing adventures (number depends on inclemency of weather and sea state), most of which will hopefully be ending up here! Anything else I can think of, or someone else suggests for me. I also tested ‘post by email’ for this post; a way to send a simple text-only e-mail to update you all (via satellite phone) from the middle of the Pacific Ocean! Finally I’d like to point out the Follow and Facebook widgets to the right: you can subscribe by email or like my page on Facebook to receive updates. I’m Michael and welcome to my blog! 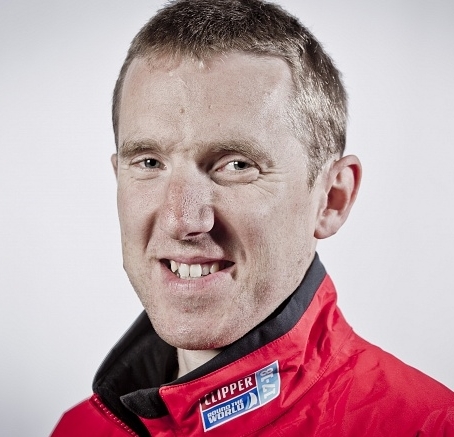 My name is Michael Brien, and in 2017-18 I am sailing around the world with the Clipper Round The World race. The race starts in August in Liverpool and ends back at the same port on July 28th 2018. You can find the route map at Clipper’s website. Before the race begins I have been taking part in four separate training weeks from Clipper. I am also doing other – non-Clipper – sailing trips and sailing courses to improve my knowledge and skills; so far I have completed a Coastal Skipper practical course in September, and also acting as watch leader for the Tall Ships Youth Trust for a couple of courses for young people. I am hoping to become a Yachtmaster after the race, as I certainly don’t have time before! Although I started sailing as a 14-year-old on the Menai Straits, after university I stopped: for various reasons including other hobbies and living about as far as it is possible to live from the sea. In 2013 I then joined the Eda Frandsen on a 9 day trip round the Hebrides, and wondered why I ever stopped because this is awesome. The Tall Ships Regatta (from Falmouth to Greenwich) followed in 2014, and then the Fastnet Race in 2015. Whether you know me as Michael, or Mike, or Mikey (or Blencathra, or Kivena) you are very welcome to follow me as I experience copious amounts of sea and weather on the world’s oceans.